Selected Villas for rent near Helga’s Folly (Sri Lanka) - Contact us now! Step into Helga’s Folly, and you might think that you have been transported into a magical enclave filled with ornate furnishings and eclectic designs. 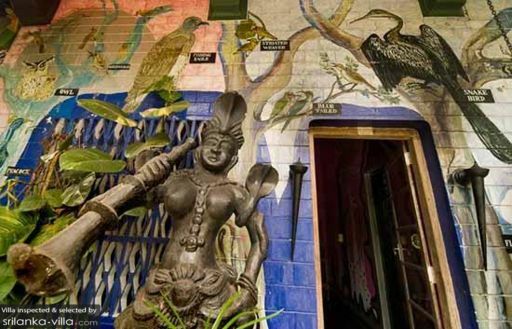 Highly atmospheric, the restaurant is decorated with antique ornaments, curious art pieces and intricate mural paintings.The decor is not the only highlight of Helga’s Folly. Enjoying tea or a meal here is a fine experience, with excellent service and delicious food served on beautiful silverware.